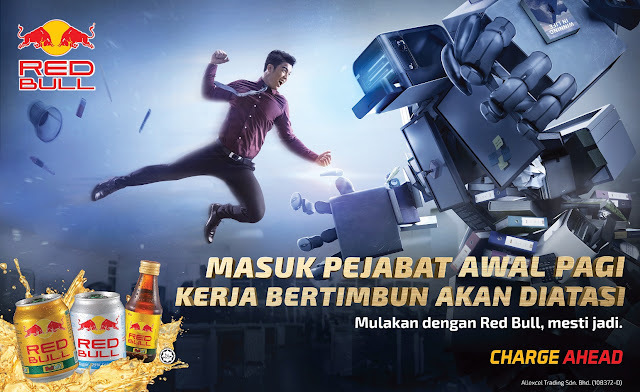 Red Bull, an energy drink often associated with dynamism and ardour, introduced its ‘Start Right, Charge Ahead’ campaign and announced a corresponding consumer contest, with cash prizes of up to RM250,000 for grabs. Through the campaign, Red Bull hopes to redefine the consumption method of its history-rich energy drink; at the same time, empower consumers to realise their full potential for any task they undertake. “Our high quality ingredients are the very elements that provide fuel to the drinker. Oftentimes, consumers see us as the beverage of choice when they need energy to plough through the day, but little do they know that Red Bull should, in fact, be consumed before the start of any activity – be it work, sports, studying or driving – so they start the day with the right fuel to perform optimally at any task,” Samathivathanachai explained. An average person’s day-to-day life encompasses work, sports, studies and driving, among other activities. While these activities are routine in nature, they require a sustained level of concentration and can drain one mentally and physically. 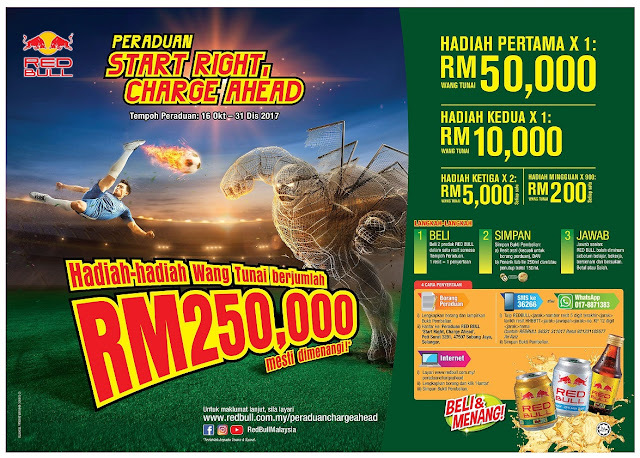 For more information about the ‘Start Right, Charge Ahead’ contest, please visit www.redbull.com.my/peraduanchargeahead. To find out more about Red Bull, please visit www.redbull.com.my or www.facebook.com/RedBullMalaysia.